Circular Glass Hearth is from the Glass Hearth Range. 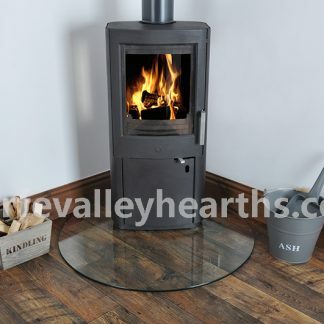 The Circular Glass Hearth/Floor Plate is manufactured in quality glass and suits stand-alone stoves. The circular glass hearth is perfect for all kinds of stoves. 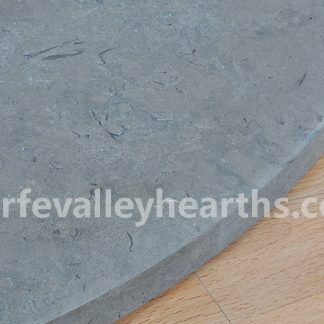 It will protect the floor beneath your stove whilst adding style and class to your space. 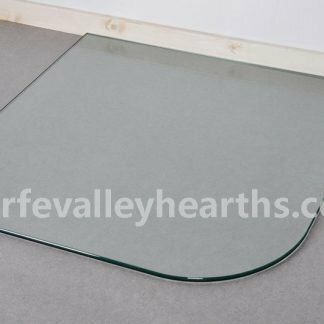 The circular glass hearth is all you need to protect floors made of combustible materials such as wood and laminate. 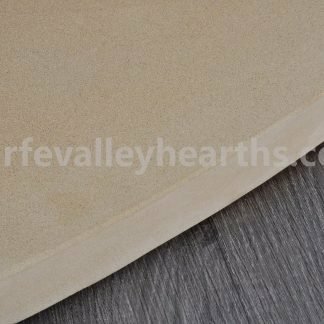 You can now protect your floor cover without concealing it from view. 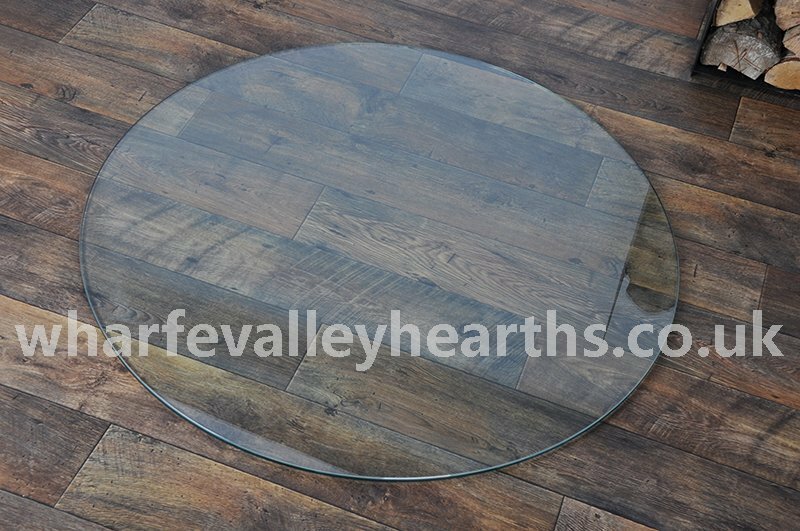 Measuring 1150mm in diameter, the circular glass hearth comes in 12mm thick toughened glass with a polished edge. 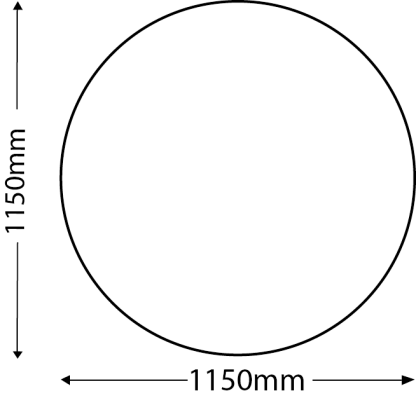 Circular glass plates are available in clear, smoked and black options. 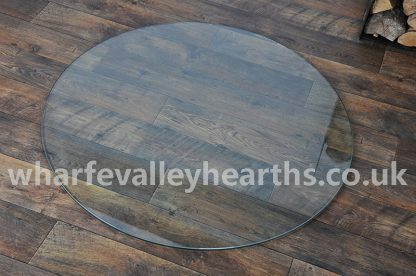 No matter what style you choose, a circular glass hearth is sure to enhance the style of your space. 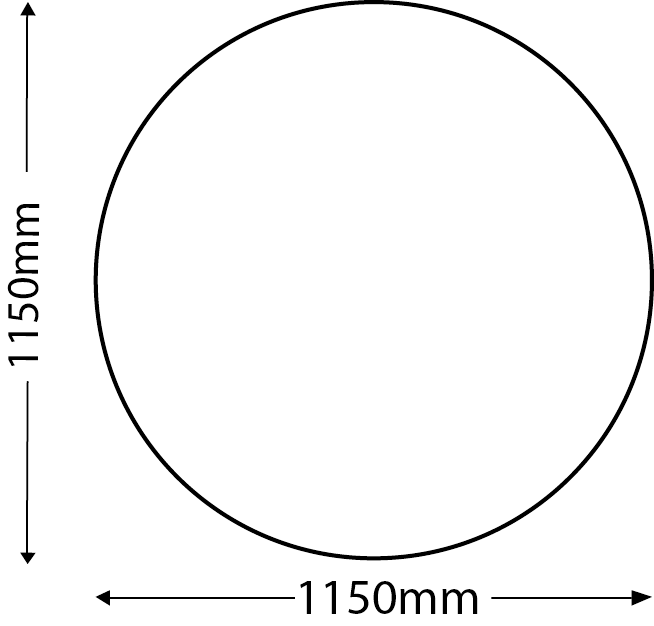 Custom sizes (up to 1000mm diameter) can be made to order with a lead time of up to 3 weeks. 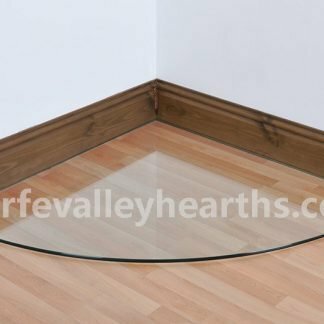 The circular glass hearth from Wharfe Valley Hearths is fully compliant with the UK’s hearth regulations. 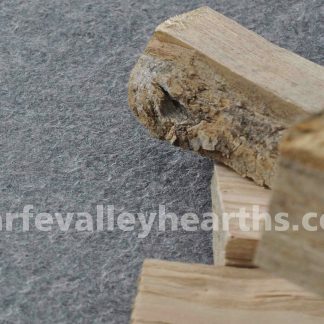 If your stove will not go into a recess under a chimney, and would not heat the hearth beneath it to over 100 degrees centigrade, you need a 12mm hearth made of a non-combustible material. 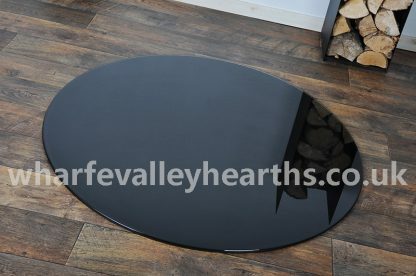 The circular glass hearth fits the bill perfectly. A blend of durability and style, the circular glass hearth is money well spent. 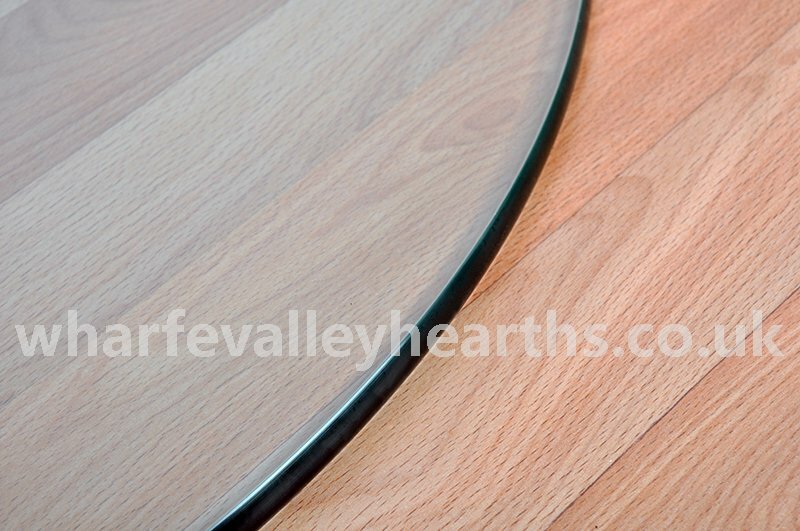 Place your order right away and we will have it dispatched within 2 business days. AB, BT, DD, IM, HS, IV, KW, PA, PH, PO30-41, ZE and will not be delivered on Next Day services. 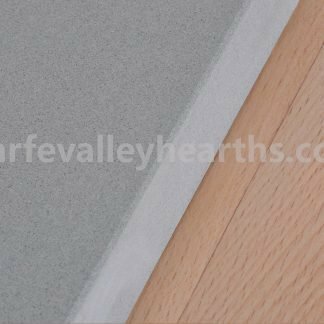 If installed on a combustible floor it is essential the hearth is at least 250mm thick (or 125mm thick with a 50mm air gap underneath). If however, the stove does not exceed the glass hearth\'s temperature to over 100ºC then the hearth thickness can be reduced to 12mm . 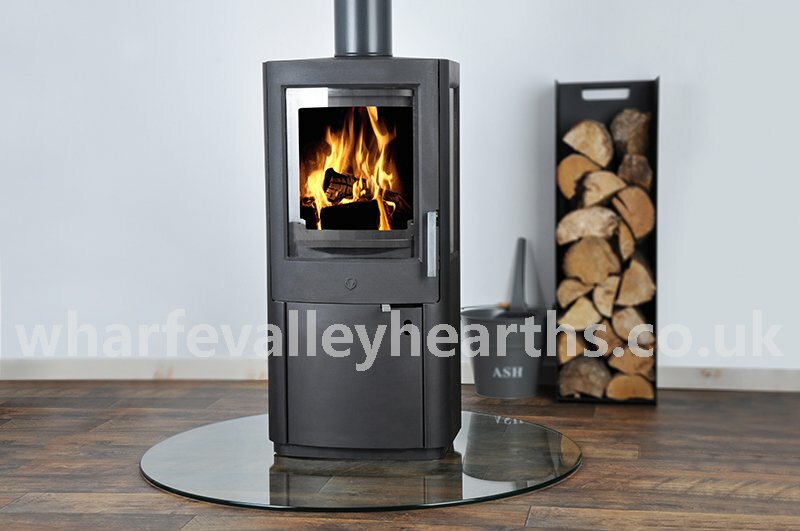 Many stove manufacturers test their products and should be able to confirm whether the stove will cause the glass hearth to exceed a temperature of 100ºC or not. Most stoves that are installed with a log storage underneath are most likely to exceed the glass to over a temperature of 100ºC.